Our own Christian Rijos has been awarded the Davis Scholarship and has been accepted to the 2017 UWC-USA class. 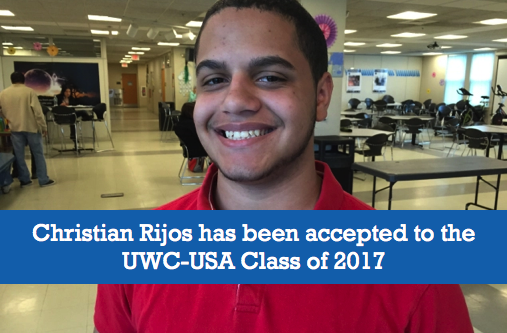 We congratulate Christian and can’t wait to hear about his amazing experience! To learn more about UWC-USA visit http://www.uwc-usa.org/.